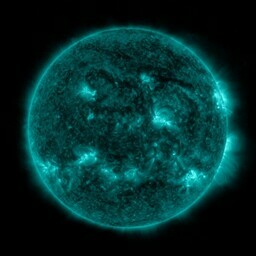 SolarHam is a website all about the Sun and how it affects Earth. It is also an Amateur (Ham) Radio website. SolarHam is routinely updated with breaking news, sometimes hours before other Space News websites. You can trust SolarHam.com for the most up to date and accurate solar information on the internet. Welcome to SolarHam.com All of your solar and aurora needs in one place! Region 2738 is now rotating off the visible disk and will soon be out of direct Earth view. The formerly "active" region previously numbered 2736 from when it formed on March 20th, spent the past almost 2 weeks quiet and non threatening. 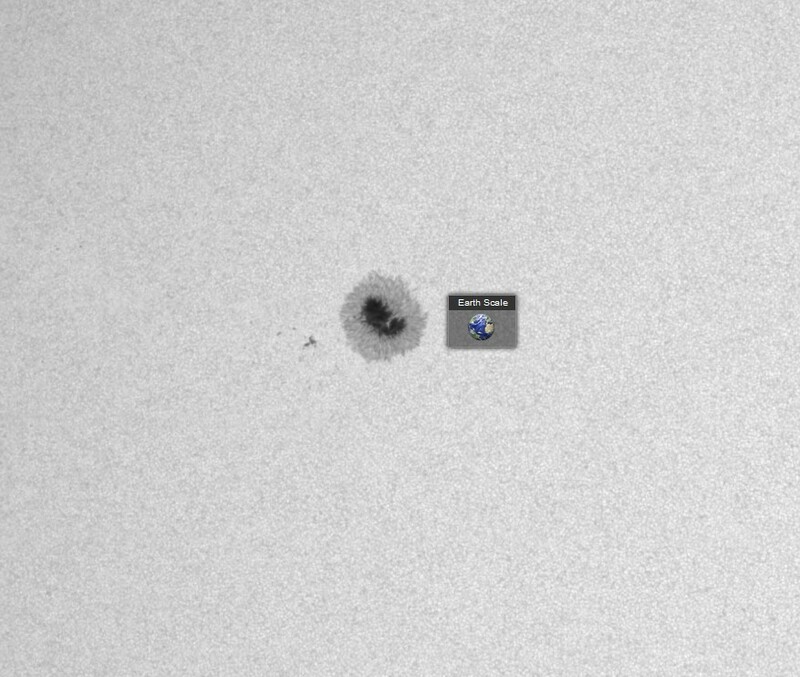 The only other visible sunspot, AR 2739, is a simple bi-polar region and not a threat for noteworthy solar flares. Solar activity should remain at very low levels in the short term. 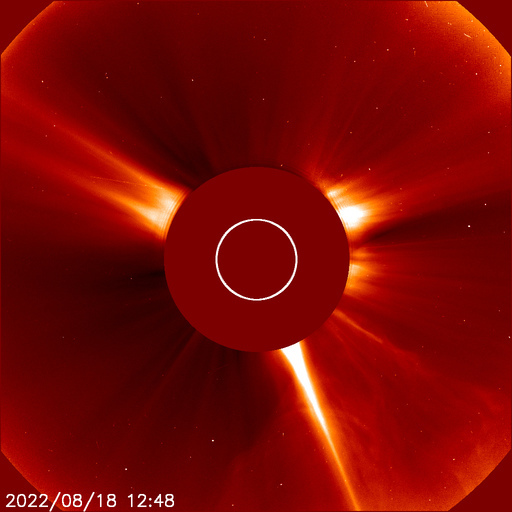 Image below by SDO/HMI. 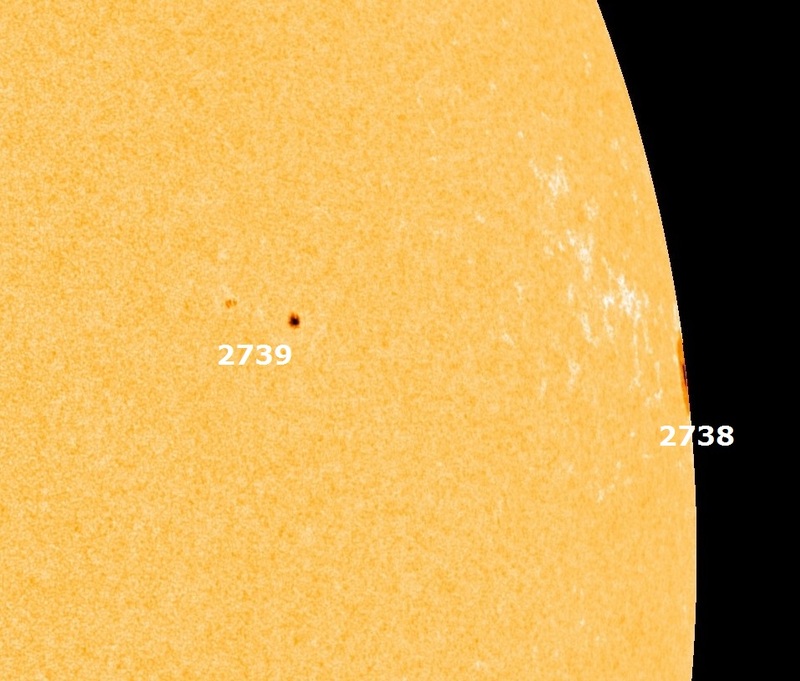 Region 2738 continues to transit the visible solar disk and remains a large, magnetically simple sunspot. How large is the main dark core? Below is a nice size comparison. 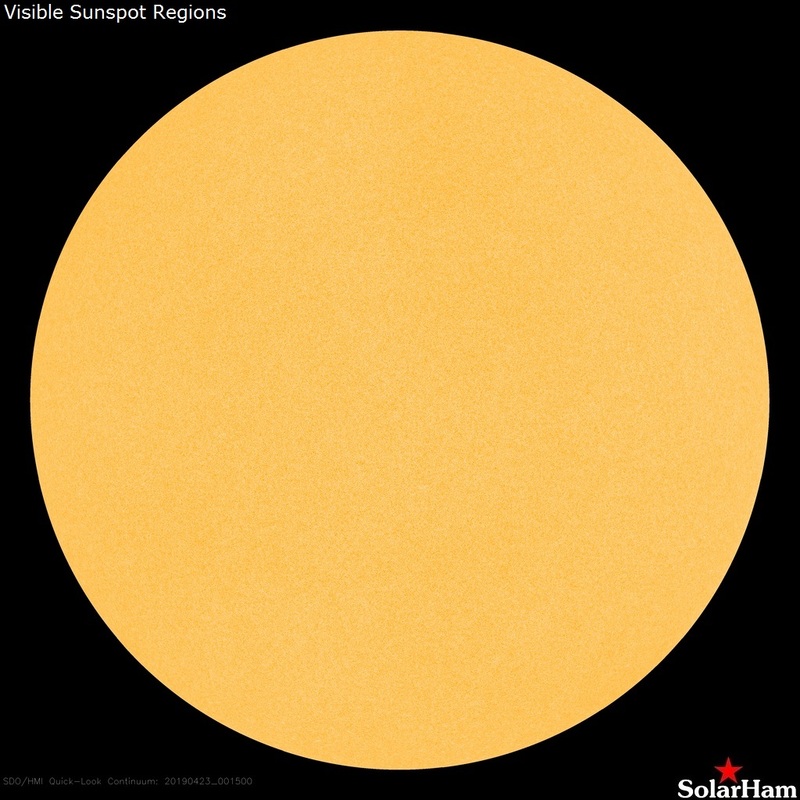 Solar activity should continue at very low levels in the short term. Image by SDO/HMI. 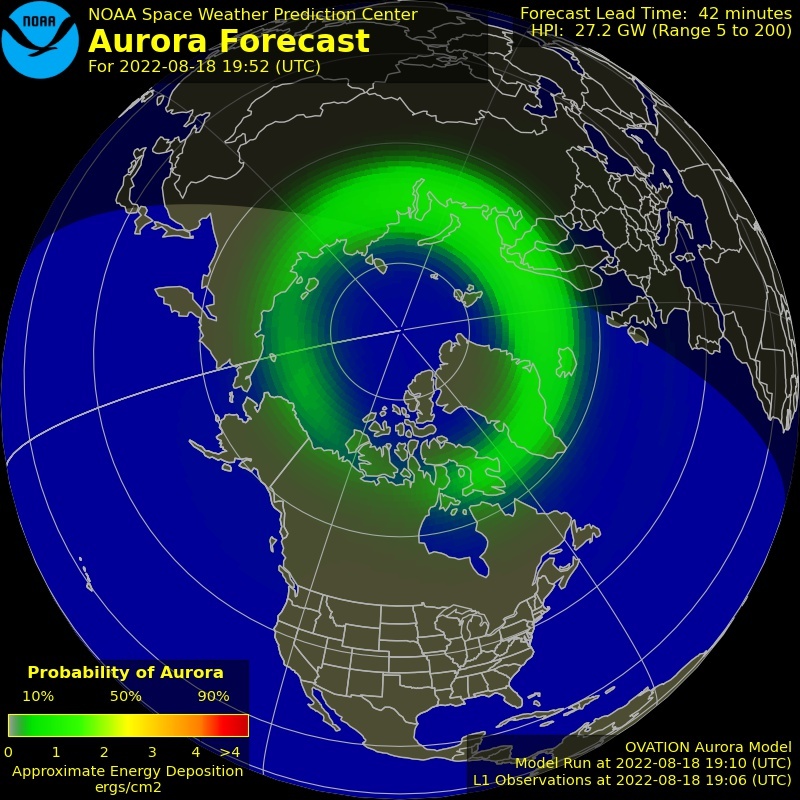 Earth-directed CMEs were observed in available satellite imagery. A - Alpha (single polarity spot). B - Beta (bipolar spot configuration). G - Gamma (atypical mixture of polarities). BG - Beta-Gamma (mixture of polarities in a dominantly bipolar configuration). D - Delta (opposite polarity umbrae within single penumbra). BD - Beta with a Delta configuration. BGD - Beta-Gamma with a Delta configuration. Site launched on March 15, 2006 by VE3EN. Best viewed at 1280 x 1024 resolution and with Mozilla Firefox. Site design is Copyright 2006-2019 VE3EN. Now go work some DX!